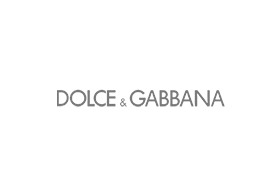 Established in 1985, today Dolce&Gabbana is one of the leading international groups in the fashion and luxury goods sector. The founders, Domenico Dolce and Stefano Gabbana, have always been the creative and stylistic source of all the brand’s activities as well as the drivers behind the development strategies based on balanced growth on a global scale and focus on the core business. The Group designs, produces and distributes high-end clothing, leather goods, footwear, accessories, fine jewellery and watches. Through licensee partners, it also manages the production and distribution of the beauty and eyewear. The direct control of the entire value chain, from the creation to the sale, allows to transmit with the highest effectiveness through all the brand’s expressions its strongly distinctive style and its solid DNA, based on sartorial ability, craftsmanship and Sicily’s Mediterranean culture.